"I don't think I have ever worked with such a patient, knowledgeable and professional realtor! Stephen showed me numerous properties before I decided on my forever home. Through the entire 7 month process, he helped me stay focused on finding 'just the right house,' helping me understand costs, moving expenses, potential improvements to infrastructure and the impact on assessed value that is influenced by the various neighborhoods around our city. Stephen was prompt in his responses to my questions and incredibly accommodating showing me properties, often times, as soon as houses were first listed on the market. I highly recommend Stephen for a residential, commercial or vacation property sale or purchase." "Stephen sold my primary home and rental property. He got me the price I wanted. He then helped with finding movers, storage, and a rental for myself. This agent was on time, dressed sharp, a total pro." "Stephen is a fantastic realtor! I give him my highest recommendation. My husband and I spent over 8 months looking at a variety of houses all over the greater Rochester region. Stephen came to every appointment with us and gave us great advice along the way. One Sunday we went from Marion to Livonia to Canandaigua looking at different houses, and he had a smile on his face the whole time. When we decided none were the one for us, he offered encouragement that we would find 'the one' soon. He was very helpful, knowledgeable, patient, sincere, honest and hard-working through the whole process - not to mention a pleasure to work with. He really wanted us to find the perfect house for us and didn't rush us into anything. When it came time to go through the buying process, I probably would've given up if it wasn't for Stephen. He kept us aware of everything as it was happening, constantly followed up with all parties involved, and assured us it would all be worth it in the end. Because of Stephen, we are now living in the perfect house for us, and we couldn't be happier with the house or him." "Stephen was amazing, he helped my fiance and I look through several houses and landed a great house in the location we desired. Stephen helped us through every step of the way, since we were first time home buyers we didn't know what to expect. Great Guy, Great Work Ethics, has a wealth of knowledge of all the different areas and fun to be around! I highly recommend Stephen!" "I was completely satisfied with services provided by Stephen Cass in both the purchase of my new home and sale of my previous home. 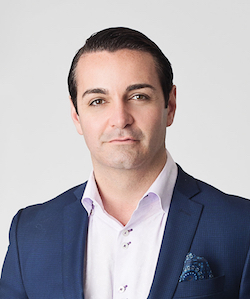 He has impeccable attention to detail, excellent work ethic, and a network of trusted professionals who work with him to assist his clients with legal, financial, appraisal, and all other necessary steps in the real estate purchase or sale process. He is always accessible to his clients with any question or concern and gives thoughtful, knowledgeable, and well reasoned advice. He is trustworthy and truly has the best interests of the client at heart." "My experience with Stephen was absolutely superb. He was extremely knowledgeable and the ultimate professional throughout the process of selling two houses (girlfriend's and mine) and the purchasing of our new fabulous home!!! Not only did he represent us as a realtor but was able to pair us with a local broker from his many contacts. "Stephen was an excellent relator. He made himself available 24/7 and was able to answer any and every question I had. His response time was almost immediate. He also found exactly what I was looking for within my price range. I had very specific needs and he was able to come up with multiple property listings to show me. I told him I wanted to move within 3 months and I had my house after 3 showings! His negotiating skills were incredible, as I got an even better deal than I expected. I would HIGHLY recommend Stephen to anyone. You aren't going to meet a better relator!" "I very much enjoyed working with Stephen, he was always available to answer questions and to help in any way. I had never used a real estate agent before, so I had no idea what I was doing when I sold my house and Stephen made it easy. Stephen was very clear, direct and realistic making my house sell in an amazingly short period of time. I highly recommend him to anyone who needs an Realtor for any reason." "We were completely new to the home buying experience and we couldn't have imagined choosing a better Realtor! Stephen was there for every single question we had 24/7. Being first time home buyers we had no idea what to expect. Stephen was very knowledgeable about every aspect of the search and buying process and went above and beyond to help us solve any problems we came across even after we had the keys. He explained each step as we approached it and seemed to enjoy it as much as we did. We highly recommend him to anyone who mentions buying a home." "Stephen helped us buy two houses in Rochester last year. The deals were very complicated because they had to be done as one transaction and were construction loans. Despite the complexity, he explained the process to us and made us feel comfortable each and every step of the way. He also contacted contractors, was a liaison between us and the bank, often helping us gather documents and sending them to the appropriate parties. I have worked with other realtors in the past, but Stephen always went above and beyond. We would recommend him, and DO recommend him, to everyone who considers buying or selling a house."